for $950,000 with 3 bedrooms and 2 full baths, 1 half bath. 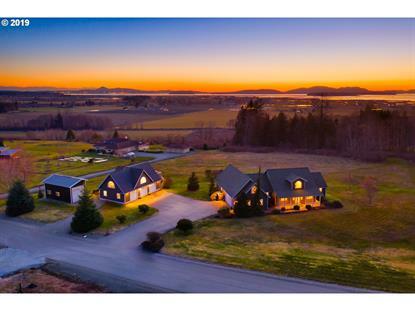 This 3,336 square foot home was built in 2003 on a lot size of 5.2000 Acre(s). A hobbyist & gardenerÃƒ¢Ã¢'š¬Ã¢'ž¢s paradise, this property consists of a custom home w/main level living, open floor plan, hardwood floors, & wonderful master suite; attached 2 car garage; detached carriage house w/1 bedroom 1 bath apt, living rm & full kitchen over 3 car garage with 1/2 bath PLUS detached RV garage on 5 acres! Serene views of the San Juans & sunsets over the Olympics.